Many would perhaps argue that reported cases of suicides across Nigeria in recent months is not a trend but an increasing focus on these tragic occurrences by the media. However, the cases that have attracted public attention lately seem to be taking a disconcerting trend. On October 21, the body of Edward Soje, a director in the Kogi state civil service was found dangling from a tree behind the mammy market at the Maigumeri barracks, Lokoja. Before his shocking death, the 54-year-old civil servant’s family had just been blessed with a set of male triplets, a thing of joy in an African setting especially in the line of reports that the marriage had been without a child for over 17 years. 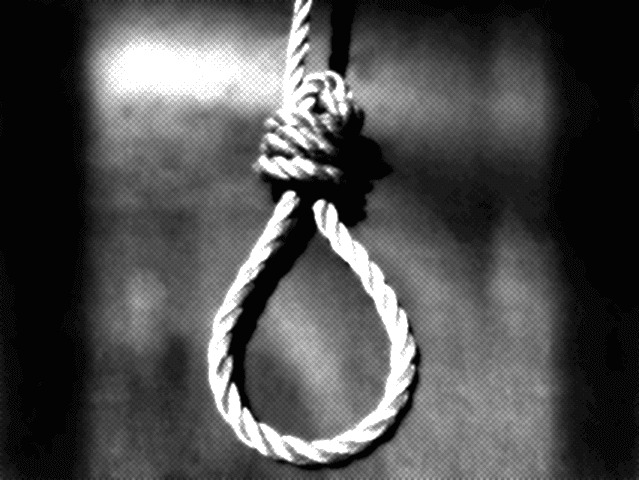 Mr. Soje, a grade level 16 Officer in the Kogi State Teaching Service Commission, was being owed 11 months’ salary arrears at the time he committed suicide. In the suicide note he left behind (apparently addressed to his wife), he gave an insight into why he took his own life. “Psalm 121:3 God will not suffer your foot to be moved: He that keepeth you will not slumber. Amen. You and the three boys, the God Almighty will keep you and prosper you, amen. I love you,” the suicide note said. The note did not give further details even though many attributed his action to frustration over his inability to meet financial obligations worsened by non-payment of his emoluments. However, Mr. Soje’s case is just one of numerous Nigerians (many unreported) who have taken their own lives in the past few months. While Nigerians were still reeling from the tragedy in Kogi, their attention would soon be drawn days later to Lagos where a similar action took place. A 40-year-old, Adekunle Oluseyi from Ondo State, jumped into the lagoon from the Lekki – Ikoyi Link Bridge at about 9:58 a.m. on a Friday. The motive for his action could not be immediately ascertained by investigators even as they quickly deployed crafts to retrieve the body from the murky waters. In January, 21-year-old Mansur Tanko set himself ablaze in Jalingo because his father, Tanko Mijinyawa, allegedly refused to approve of his plan to marry. The massive burns he suffered from the self-inflicted injuries eventually led to his death. In May, police in Niger state were called in to investigate the death of Halima Kabiru, who reportedly drank poison after an argument with her husband, Musa Kabiru. The trend is not limited to class or privilege. The death of a naval officer, Teikumo Daniel Ikoli, reportedly via suicide on April 5 shocked many perhaps due to the fact that the fleet commander was reportedly on President Mohammadu Buhari’s shopping list for the next Chief of Naval Staff. In Taraba, the police early in the year issued an alarm on the rising cases of suicides mainly by youth in the city. Within a few months, it had recorded many such incidences. A 30-year-old student of the Nigerian Law School, Abuja, Auwal Haruna, allegedly committed suicide hanging himself on the ceiling fan in his hotel room in Takum, Taraba State. The reason for his action could not be ascertained. In February, the command said it recorded two such cases in Jalingo. While one involved a 400-Level student of the Taraba University, Friday Samson, 32, who poisoned himself to death over lack of funds to pay his school fees, the other involved a guard, Saidu Babura, 45, who hung himself on a tree at Hassan Primary School, Jalingo, after an alleged battle against drug abuse. In Kano, 45-year-old Balarabe Haruna who lived in Hausawa Sabon Titi quarters, woke up one day, climbed over the edge of a well and jumped to his death, resident said. That was the last time, Mr. Babatola would see his wife alive. Fast-forward to September in Lagos, it was also a time of horror when it was reported that a director in Lagos State Ministry of Youths, Oludare Buraimoh, who lived at Unity Estate, Phase II, Gbonagun, Abeokuta, Ogun State, took his life by hanging himself. In the same month of September, a 70-year-old man simply called Inuwa reportedly jumped into a well for undisclosed reasons. He had been declared missing for days before his family eventually saw his crumpled body at the bottom of the well. Perhaps a month of such tragedies, a 22-year old housewife, Hajara Bala in September decided to end her life when she drank rat poison to register her displeasure over a domestic issue. Neighbours claimed that her husband’s intention to take a second wife had pushed her to take the action as she had vowed not to be alive to see the day the second wife would move into her home.